We are red diesel suppliers in Cardiff. This low duty form of diesel is used in construction, agricultural and industrial machinery, as well as for heating. Crown Oil can supply all your fuel and lubricant needs. 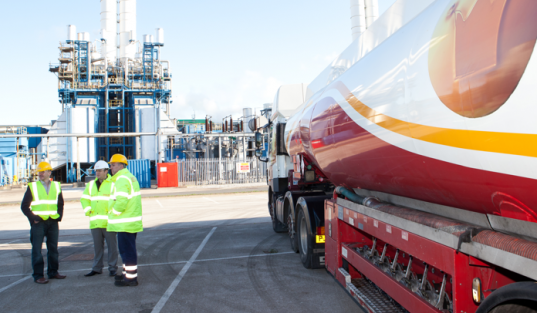 We have over 65 years of experience in the fuel industry. You can be sure we will deliver you the highest quality red diesel whenever you need it, always on time and at a competitive price. Our guarantee is that we won’t be beaten on service. We have red diesel for sale and other fuel oil related products such as spill kits and barrels. Give us a call on 0845 313 0845 to order now. Fuel is what it takes to keep the home fires burning regardless where you live. Diesel suppliers are already busily filling storage tanks for red diesel users. Wales is a beautiful place to live, but it gets quite cold in the winter time. Providing fuel for the heaters of citizens is a very important job for diesel suppliers all over the world and Wales is no exception. The price of fuel oil seems to climb every year which sometimes creates difficulties for those using the substance. Wise individuals understand that purchasing early can help beat the increase for yet another year if they do so early enough. Cardiff is Wales’ largest city and is also the capital with a population of 1.1 million which is about a third of the entire population of this magnificent country. Red diesel fuel is used for heating homes and also as fuel for farm equipment. Although red diesel is basically the same chemical makeup as diesel for road use, legal regulations prevent red diesel from being used for that purpose. Violations carry stiff penalties. Red diesel is fueling the home fires for people all around the area, keeping everyone warm from the youngest child to the oldest resident. The right fuel for the purpose is only found with diesel suppliers that are authorised to sell red diesel. So why do you need to purchase red diesel instead of the same fuel that is sold elsewhere? Red diesel is not taxed as heavily as diesel fuel that is sold for road use. Saving money is the number one reason for purchasing red diesel instead of road use diesel to fuel those home fires. As stated previously, Wales can get very cold in the winter, so be sure you are ready before winter strikes.